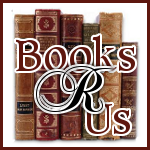 Thanks Everyone for entering and reading Books R Us. Congratulations Mandy!! You's so lucky!! !